Liberation Circuit, an RTS/programming game. Escape from a hostile computer system! Harvest data to create an armada of battle-processes to aid your escape! Take command directly and play the game as an RTS, or use the game's built-in editor and compiler to write your own unit AI in a simplified version of C! 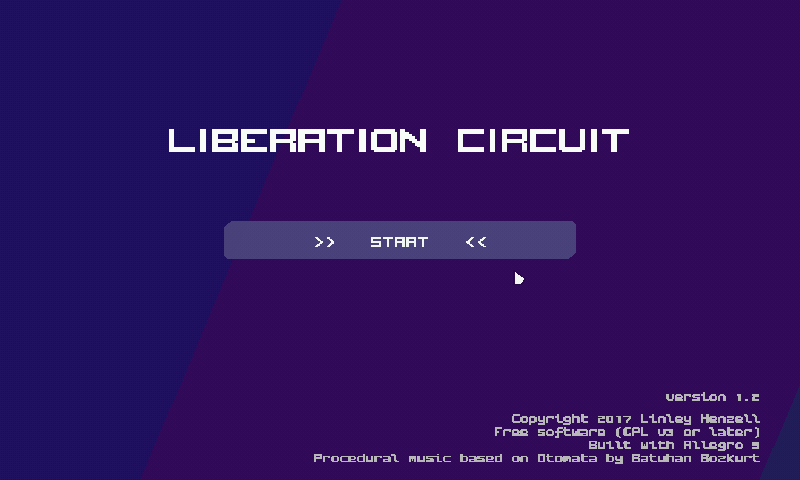 Liberation Circuit, an RTS/programming game. Escape from a hostile computer system! 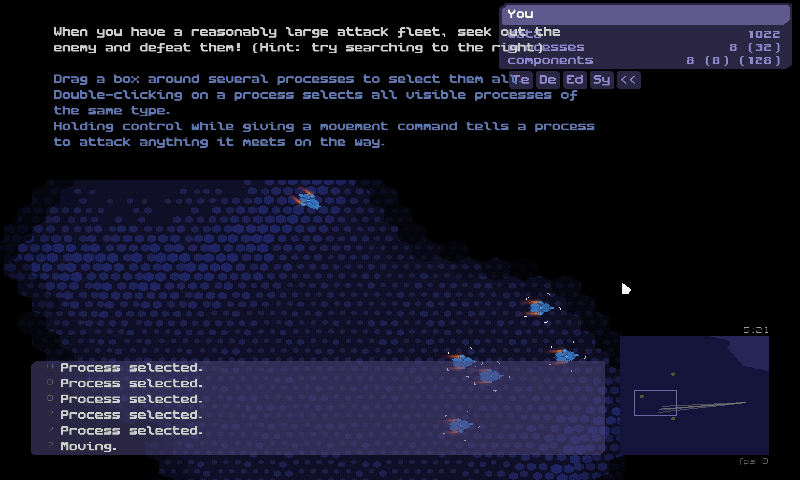 Harvest data to create an armada of battle-processes to aid your escape! 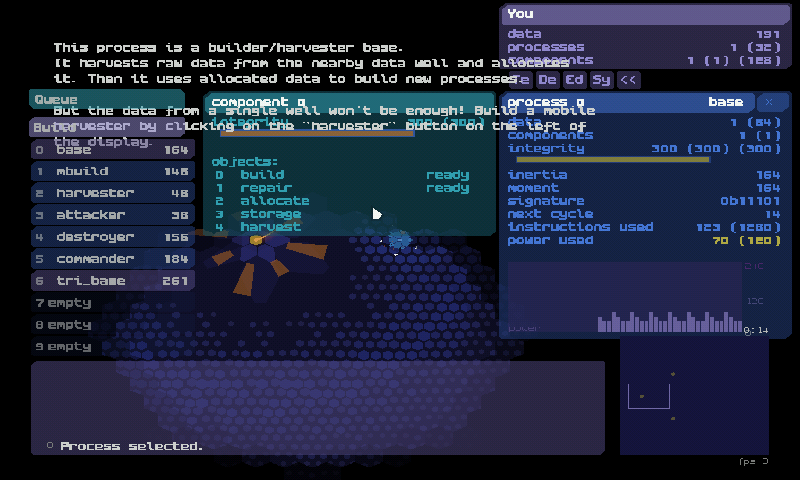 Take command directly and play the game as an RTS, or use the game's built-in editor and compiler to write your own unit AI in a simplified version of C! 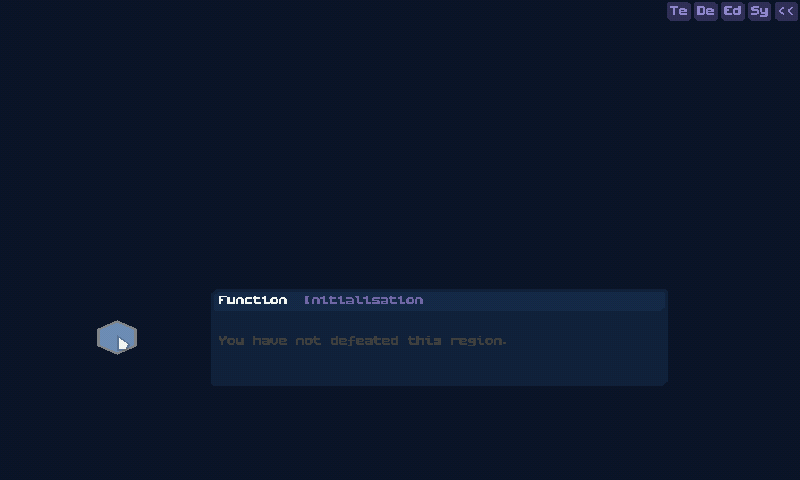 Here is Liberation Circuit, an RTS on the coding theme. The game use Allegro 5 and GLES2 here. It works well on Gigahertz and on CC model (without swapfile) but the speed is pretty slow on CC. It's still playable. Note that the games normally required at least 1024x768 screen. On the Pandora, it's automatically downscaled to 800x480, making the fonts hard (impossible?) to read. So here it use larger font, that should be used with higher res display, so some text overlapping exist. Unfortunatly, the code editor is just unusable and ship editor is very cramped on the Pandora screen.